Players spend two nights sorting donated hockey equipment. 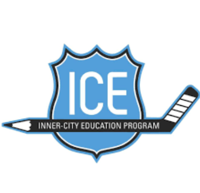 On two evenings in November, members of the Stallions Peewee teams organized over 30 donated hockey bags full of equipment for our community partner Inner City Education (ICE). This equipment will be used by the players in their program. If you have gently used equipment to donate, please place it in the bin at MB Ice Arena or bring it in to Play It Again Sports on Ashland Avenue and tell them you are donating it to the Stallions account.